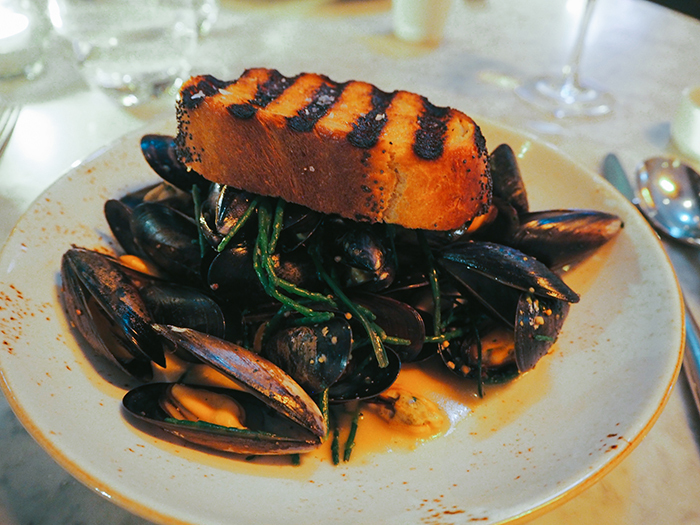 Bit of a picture heavy post today, which may make you feel quite hungry! 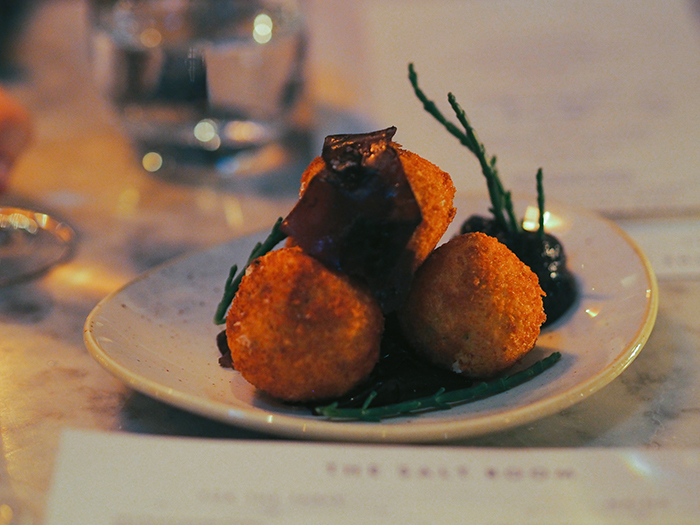 A few weeks back, I went to one of the most talked about restaurant in Brighton - The Salt Room. 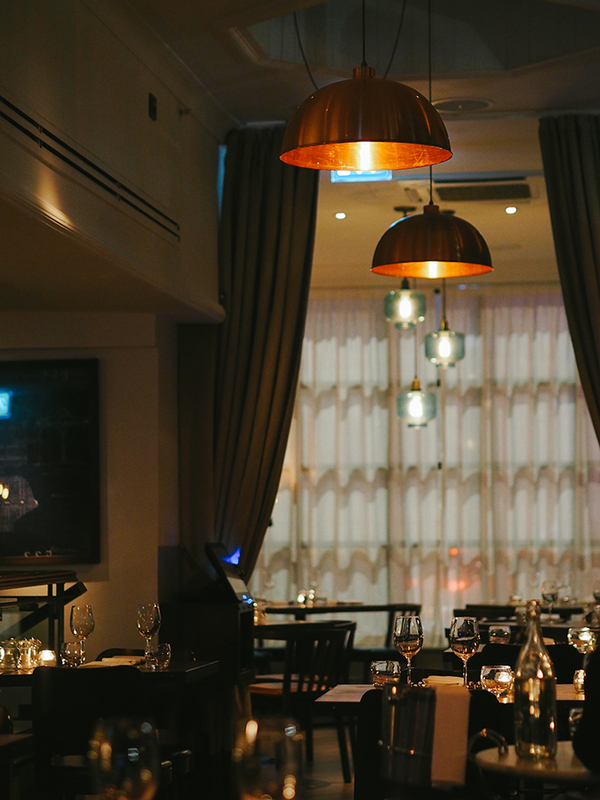 Set on the seafront, right in the heart of Brighton - it boasts beautiful views, chic interiors and (most importantly) delicious food. Seriously, this place is an Instagramer's dream - marble table, copper pendant lights and industrial features make it the perfect place for dreamy foodie shots. 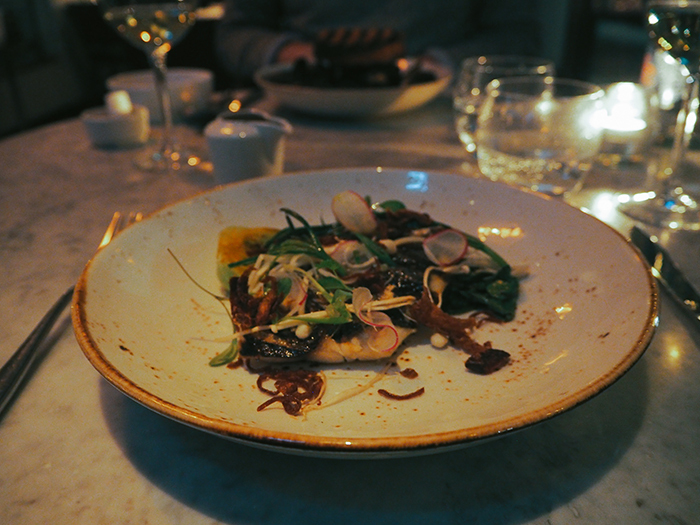 We went for the pre-theatre menu which is perfect of you're on a budget or in a rush (or both!). 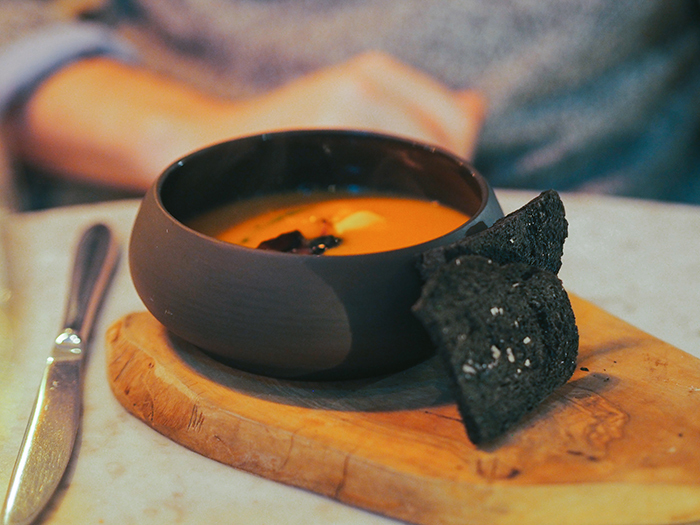 At 3 courses for £17.50, it's a great way to sample what The Salt Room has to offer. As you can tell from the picture, each course was immaculately presented and tasted even better than it looked! We started with fish soup and mackerel which were both delicious with lots of intricate flavours. We followed this with mussels (you have to try a seafood's restaurant's mussels!) 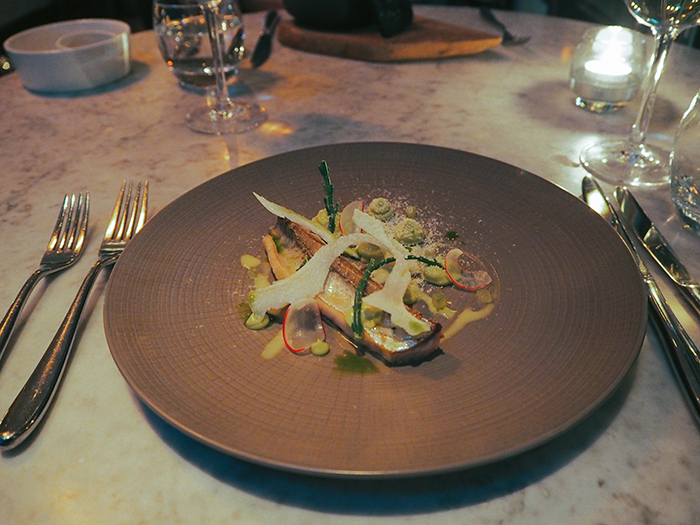 and the bream which was delicate and fresh. 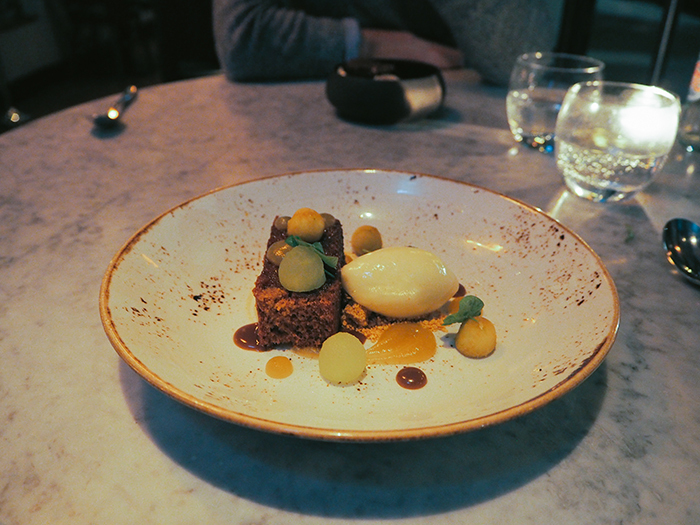 To finish, we plumped for the honey cake with pear and apple sorbet and a selection of their homemade ice-cream. Both were the perfect end to the meal, nothing too heavy and the honey cake was something I'd never come across before - simple but with a fabulous mix of flavours. Being the the swanky restaurant it is, the portions aren't huge but three course left us suitably full. Not being a food blogger, I don't really feel knowledgable enough to give in-depth comment on the food - however, what I can say is that I really enjoyed it. 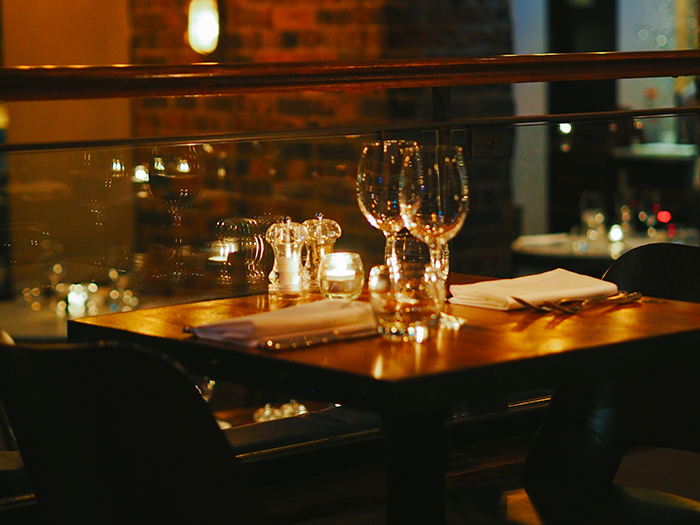 The presentation was stunning and the atmosphere make's the perfect restaurant for a 'treat' lunch or dinner.